15 Ways to Reduce Inflammation and Slim Down for Summer! Carrying extra weight can lead to health complications later in life and inflammation is the underlying mechanism of most, if not all, disease today. Living a healthy lifestyle doesn’t mean you have to be perfect, count every calorie, or adopt a rigid routine. Instead, there are small habits you can integrate along with a Clean Eating lifestyle that will support you in becoming your best and healthiest self! The best news is you have everything you need to reduce inflammation and lose weight at your fingertips and hiding in your kitchen! Here are a few ways to help slim down and lower inflammation. Excess sugar in our diet gets stored as excess fat in our bodies, and there’s hidden sugar everywhere! Not only does refined sugar lead to weight gain, but it can lead to inflammation and heart disease by damaging our blood vessels. Processed foods are loaded with refined sugars, chemicals, and other additives which further promote inflammation. Learn to read your labels, and when possible try out Clean Eating recipes like this Sheet Pan Chilli Lime Salmon! Whole foods are found in nature; fruits and vegetables, whole grains, and grass-fed, or pasture-raised protein. 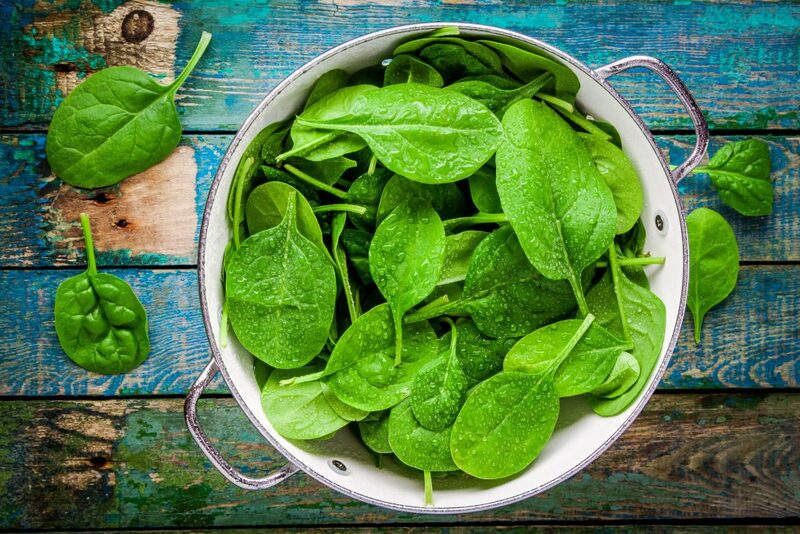 These foods are high in vitamins and minerals and act as the building blocks of our cells. Foods rich in nutrients help us stay full for longer, promoting weight loss and weight management. Whole foods also have healing properties that help lower inflammation. Fat is an essential nutrient. It helps us repair our cells, lubricates our tissues, gives us energy, enables us to absorb certain vitamins, helps us stay full, and even balances our blood sugar. 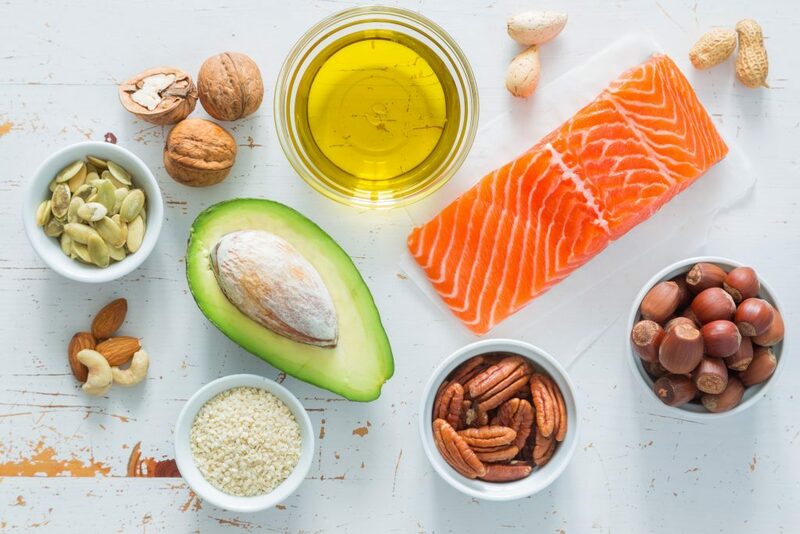 Some fats are even renowned for their anti-inflammatory properties, such as fish oils, coconut oil, evening primrose oil, and avocados. Did you know sweat is your fat crying? Well not really, but it’s a nice idea! Your skin is your biggest detox organ, and when we sweat we promote the release of toxins, which lowers inflammation. Getting a good sweat on also reduces bloating and water weight. Find an exercise routine that works for you! Try hot yoga, or go for a jog in the sun. Saunas and steams are also great for releasing toxins, lowering inflammation, and shedding a few extra pounds. Not only is meditation a great way to de-stress and reflect, but research shows that meditation and mindfulness can be used to reduce binge-eating and emotional eating habits. Meditation and light exercises like yoga or qigong have also been shown to lower inflammation. What’s good for the mind is good for the body! Water is one of the most healing nutrients we have. It supports cell integrity and every bodily process, including eliminating toxins! 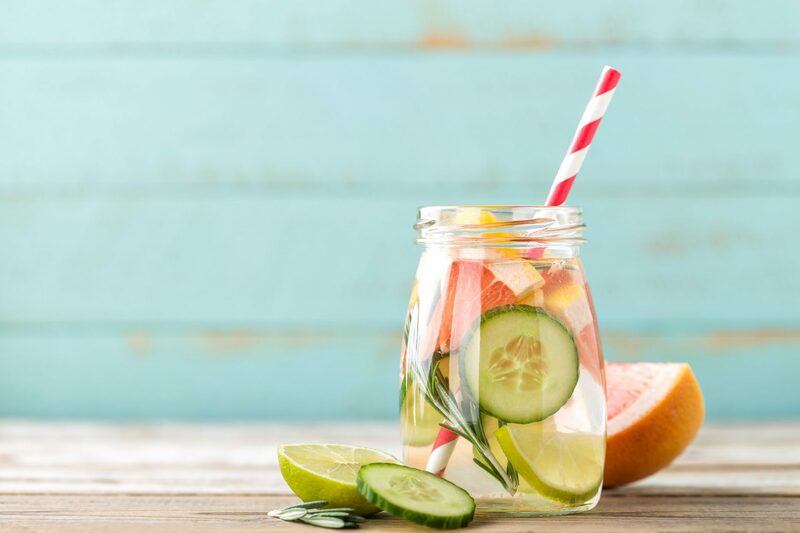 Being hydrated lowers inflammation, it’s that easy! 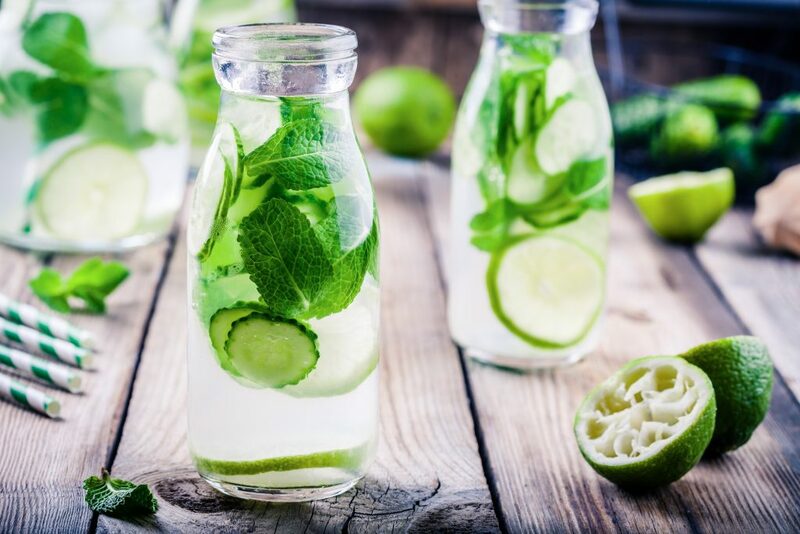 Water also supports weight loss by promoting digestion, supporting the gut, and helping to prevent cravings. One of the simplest ways to lower inflammation in the gut is by using mindful eating techniques. Digestion starts in the mind, so by just thinking about the food we actually prepare our bodies for digestion! 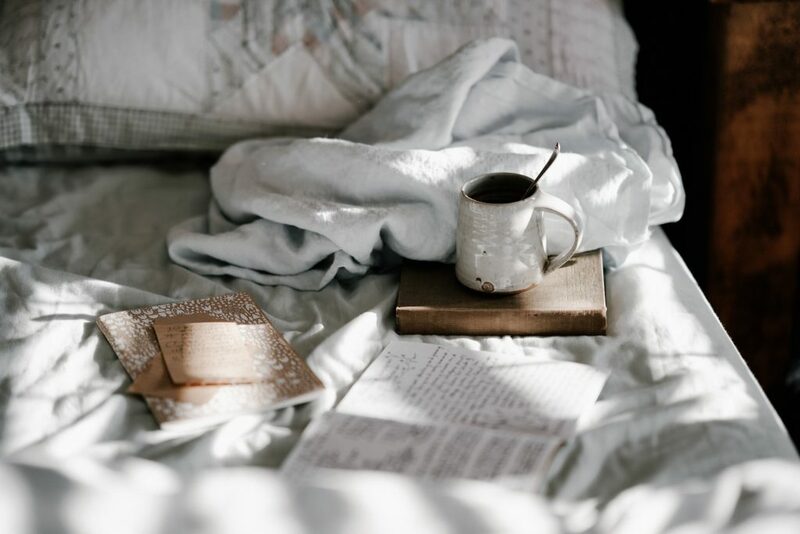 In order for our digestive system to function optimally, we need to feel rested. Mindful eating allows us to slow down and tune-in to what we’re eating and how we’re feeling. This helps us make better food choices, and gauge when we feel full. Slow down before you eat, and while you eat. Put your fork down in between bites, use chopsticks, or chat with a friend to help you slow you down. Give thanks or say a prayer. Give thanks to the farmers who grew your food, or to the hands that prepared your meal. Not only will this get you thinking about your meal, but it helps to develop a positive relationship with food and eating. Check-in halfway through your meal and notice how you’re feeling. This allows you to assess how hungry you are, as well as experience how your food is making you feel. Sleep is a major foundation of health. If we’re not sleeping, our health will begin to decline. Sleep is when the body repairs itself and assimilates nutrients. We need sleep to lower inflammation, and to regulate our hormones. Cortisol, aka the stress hormone, remains high when we’re not sleeping, which contributes to inflammation and weight gain. There’s also a correlation between hours of sleep per night and physical health status, where those who sleep 7-8 hours per night have better physical health than those who get more or less sleep. Short sleep durations are also associated with current and future obesity. You heard it here first, sleep and lose weight! Read a story from Jacklynn who reversed her sleep problems and lost weight with our 30 Day Clean Eating Challenge. I wasn’t kidding when I said the tools to lower inflammation and lose weight are in your kitchen! Mother Nature is always here to help us lower inflammation. Herbs like garlic and ginger are antioxidant and anti-inflammatory powerhouses. Another anti-inflammatory superfood is turmeric! 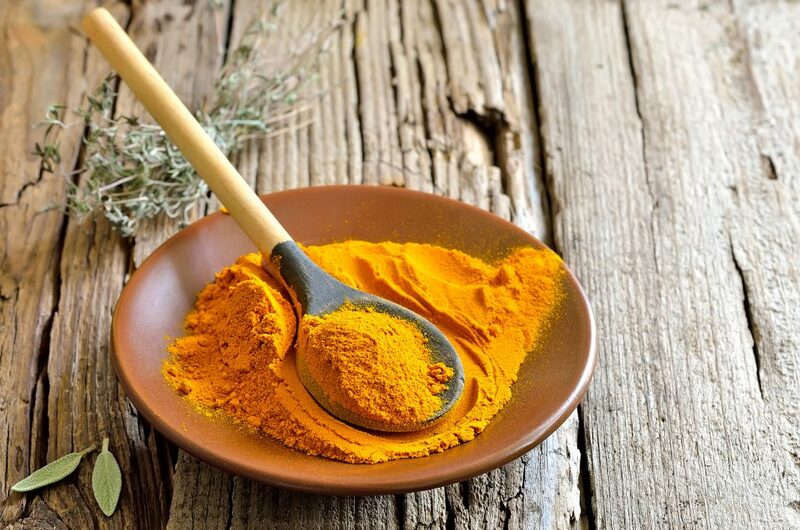 Not only is turmeric one of the most powerful anti-inflammatory food we have, but it also helps regulate blood sugar. Adequate protein in the diet is crucial for maintaining health, repairing cells, lowering inflammation, and managing weight. However, the type of protein you choose matters! Animals used for conventional meat products are often pumped with hormones and antibiotics, they live in a highly stressed environment, and are often fed GMO grains, corn or soy products. Grass-fed, organic, pasture-raised, and wild protein sources have a higher vitamin and mineral profile, higher levels of omega-3’s, and are less inflammatory in the body. Another reason to avoid conventional meat products is that they are often processed and contain added ingredients like sugar, which promotes weight gain. Antioxidant is a buzzword associated with health, but what does it really mean? Simply put, antioxidants are molecules that protect our cells from damage. 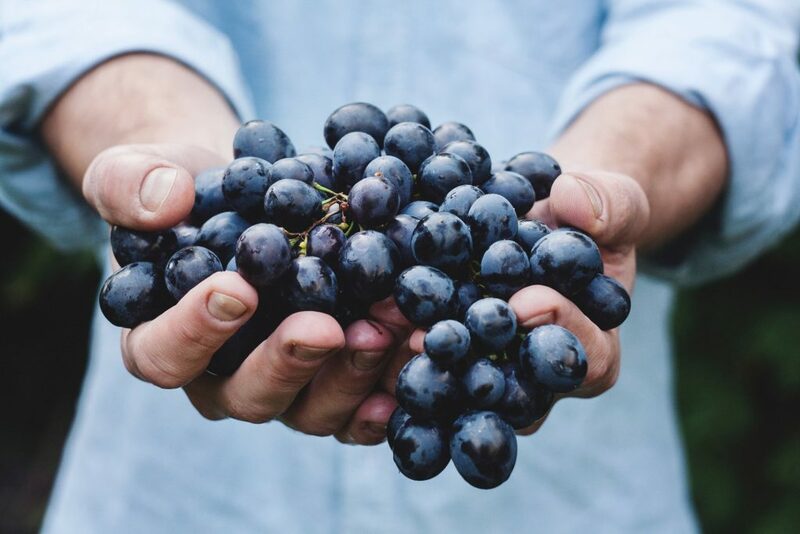 Antioxidants lower inflammation, protect our heart and cardiovascular system, slow aging, improve the look of skin, and support our detox organs. Antioxidants are found in plants, and flowers, food and drink, and our bodies can even make their own! Brightly colored fruit and veggies contain massive amounts of antioxidants, with every color representing a different antioxidant profile. We all know fiber helps keep us “regular”, but it does more than that! It helps to eliminate toxins, and it feeds our gut bacteria. Fiber can only be found in plant foods, so if you needed another reason to eat more vegetables, here it is! We need 20-45 grams of fiber each day, unfortunately, many of us only get about half that. Increase your fiber and your water intake simultaneously to slim down and reduce inflammation. When we’re under stress the body releases a hormone called cortisol. Chronic stress and long-term exposure to cortisol can lead to inflammation and weight gain. 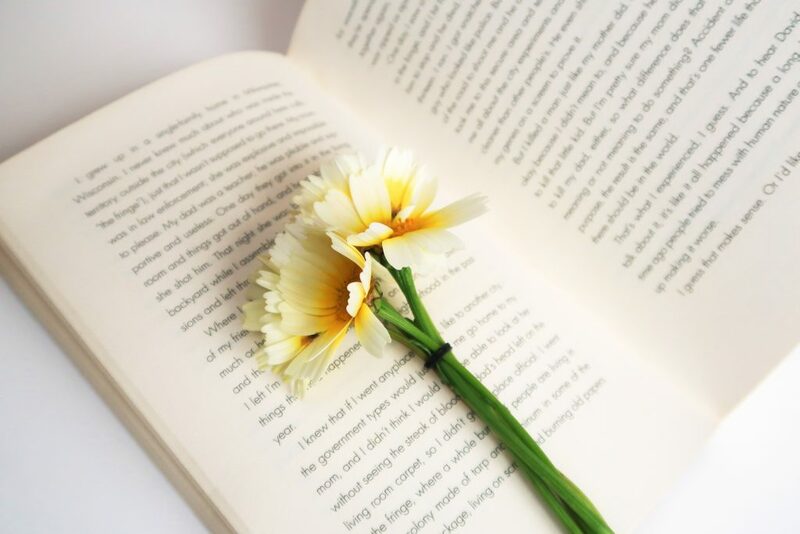 Find whatever it is that helps you destress, whether it’s taking a bath, exercising, chatting with a friend, or reading a book in absolute silence. Taking the time to destress is crucial for sustained weight loss and lowering inflammation. Probiotics are what we call the healthy bacteria in our gut. Healthy gut bacteria is associated with improved weight management, lowered inflammation, and a healthy immune system. Probiotics can be found in fermented foods such as sauerkraut, kimchi, yogurt, kombucha, and kefir! 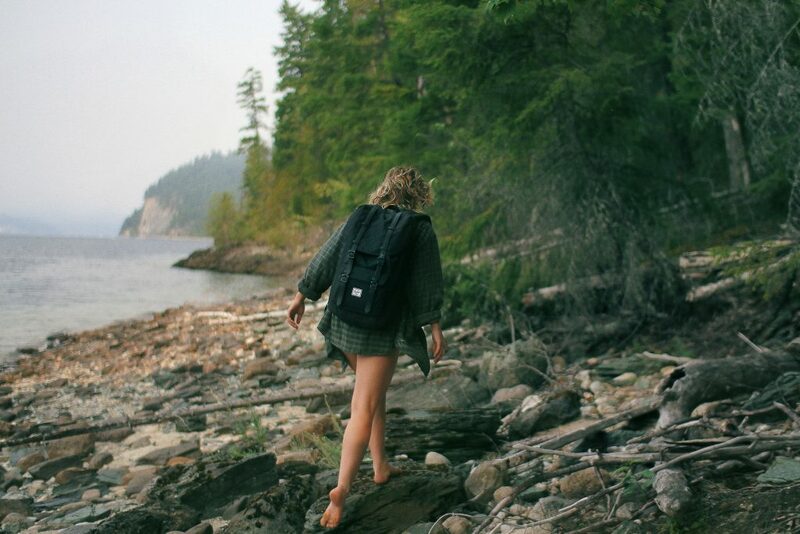 Get back out in nature! Vitamin-nature helps lower stress, provides an environment for exercise, connects us to the earth and ourselves, and it lowers inflammation too! Contact with nature has proven to benefit human health on a physical and psychological level, not to mention it’s free and accessible! 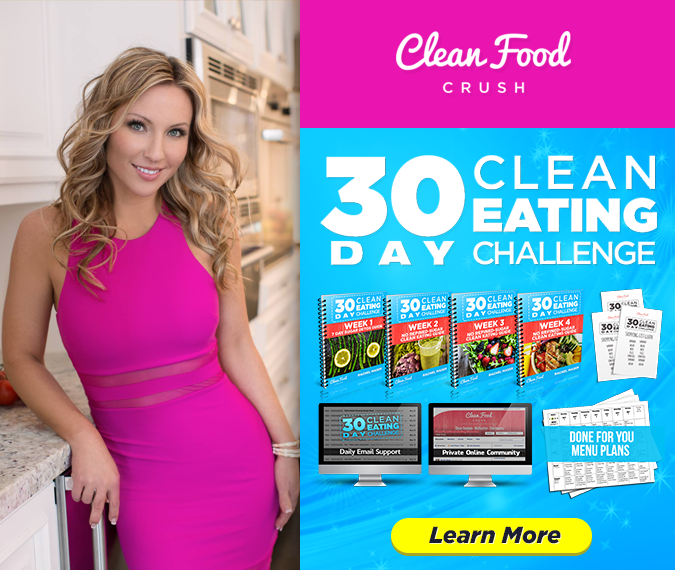 Bonus Tip: Take the 30 Day Clean Eating Challenge! The 30 Day Clean Eating Challenge is your easy-button when it comes to making a weight loss plan that works. Everything is designed to make your life more simple. You’ll know exactly what to eat and when, and have 24/7 accountability support in the private Facebook group where you can ask questions, share your wins, and get help when you need it.